It's men like Jimmy Coonan and Mickey Featherstone who gave Hell's Kitchen its name. In the mid-1970s, these two longtime friends take the reins of New York's Irish mob, using brute force to give it hitherto unthinkable power. Jimmy, a charismatic sociopath, is the leader. Mickey, whose memories of Vietnam torture him daily, is his enforcer. Together they make brutality their trademark, butchering bodies or hurling them out the window. Under their reign, Hell's Kitchen becomes a place where death literally rains from the sky. But when Mickey goes down for a murder he didn't commit, he suspects his friend has sold him out. He returns the favor, breaking the underworld's code of silence and testifying against his gang in open court. 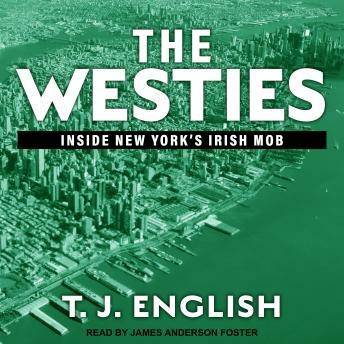 Really enjoyed learning the History of the westies, was cool hearing some of their hang outs and well it's all very mad...crazy Irish gangsters. This was a very compelling book that drew you right into the grip of the Irish Mob's dirty business! At times the author was so descriptive that it seemed like he put you in the very room with these monsters. Great Book. The details were fantastic.